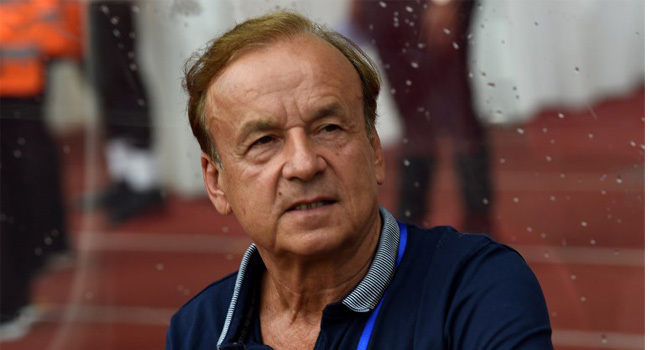 Super Eagles technical adviser, Gernot Rohr has hinted on a possible squad rotation ahead of the Nations Cup qualifier game against Seychelles at the Stephen Keshi Stadium in Delta State. Rohr made the hint during a training session of the Super Eagles in Asaba, Delta State. Nigeria, who have already qualified for the May competition in Egypt, defeated Seychelles 3-0 at the Stade Linite Stadium in September 2018. Rohr sees the rotation as an opportunity for new players to prove themselves in the squad. He suggested that the team would take advantage of the FIFA window, which the Super Eagles will play an International Friendly against the Pharaohs of Egypt on Tuesday, March 26, 2019.